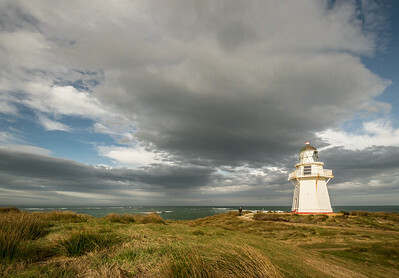 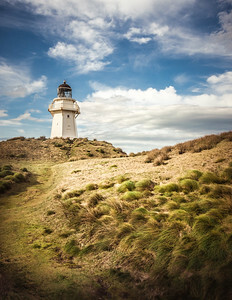 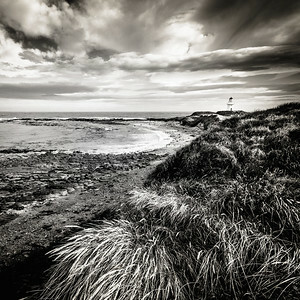 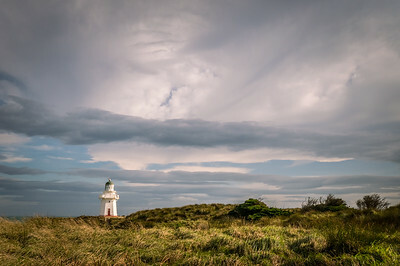 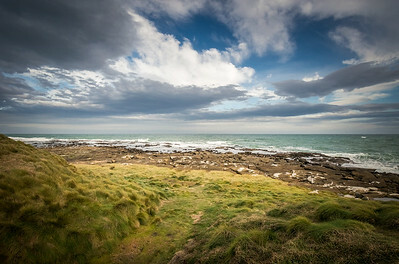 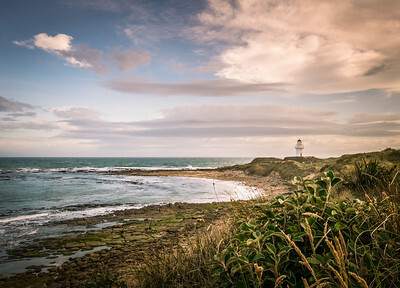 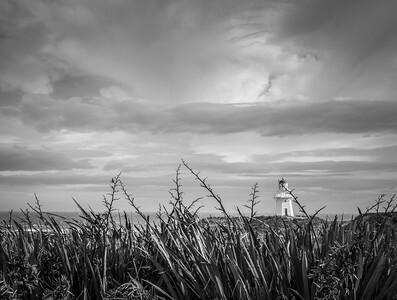 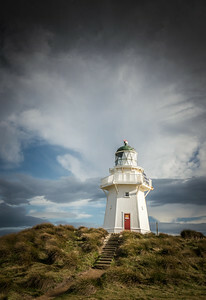 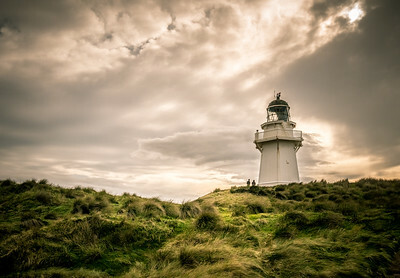 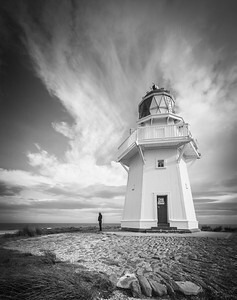 Very nearly the southern most point of NZ, Waipapa Point is a windswept and isolated landscape of great beauty. 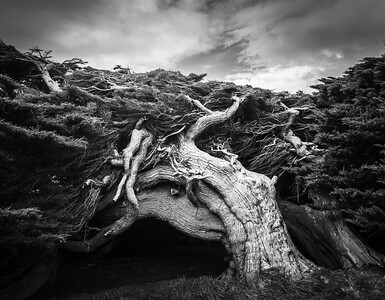 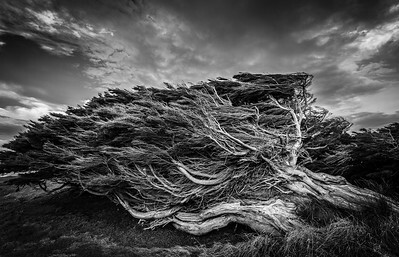 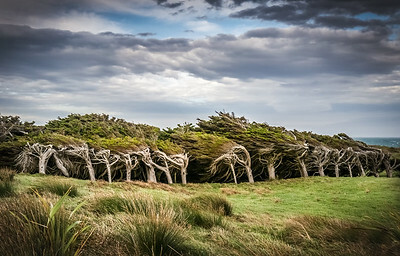 The windswept macrocarpa trees are evidence of the power of the southerly winds. 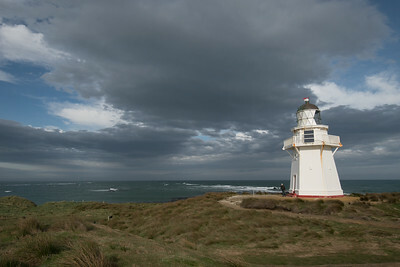 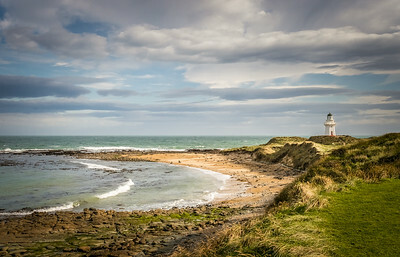 Late afternoon at the beach alongside the Waipapa Point Lighthouse in the Catlins NZ. 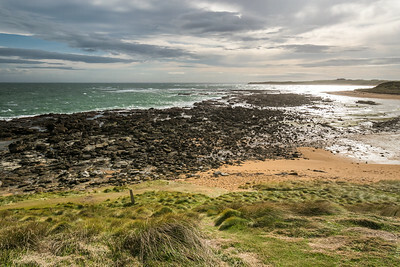 There's a couple of sealions on the beach with the southern ocean behind, looking south. 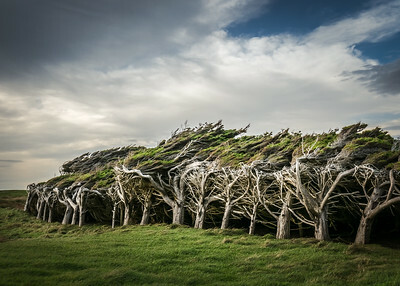 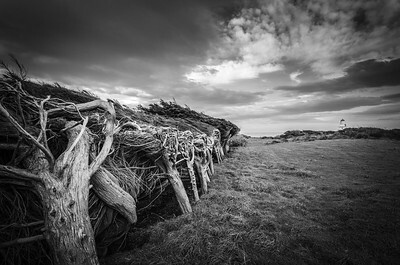 At Waipapa Point the southern winds off the ocean are so relentless that these old macrocarpa trees have only been able to grow sideways over the years. 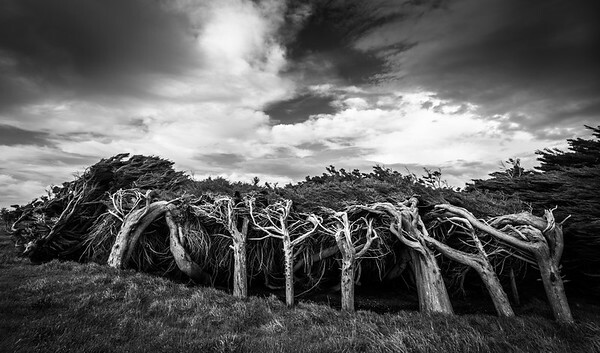 In fact I don't remember seeing any truly upright trees around there.